Creating Mindfulness and Health in our Daily Lives. I would like to take this opportunity and introduce our company, The One World Drum Co. We have been involved in bringing the therapeutic qualities of drumming to people of all ages and abilities for over 25 years. Rhythm has played a critical role in our development into a complex organism and will continue to play an important role in our survival. Our breath, heart, blood pressure, blood sugar, sleep, and many other physiological systems are bound to specific rhythmic cycles, maintaining our health and survival making us more resilient. 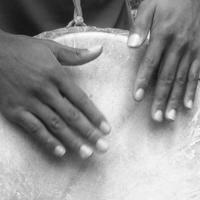 When we drum we are priming our somatic neural system into a state of calm which reduces anxiety and arousal and allows us to access our higher cortical regions making us better able to focus and concentrate, receive and process verbal information, and creating a more receptive state for other therapeutic modalities. We teach an easy step by step drum program called; Therapeutic Drumming; that is designed to help you to seamlessly incorporate therapeutic drumming into your everyday practices. Therapeutic Drumming is a protocol developed by Roger Duncan (BA Psychology, TDF, DCF, DBF and Founder of The One World Drum Co.) designed to show you how to create and lead your own therapeutic drum sessions leveraging individual and group potential through synergetic relationships. With over 25 years of teaching, leadership and performance experience Roger has brought drumming into the lives of thousands of people. Rogers’s direct experience in implementing sustainable training programs to build capacity for organizations such as Hull Services, Alberta Health Services and The Alberta Public and Private School Boards has given him insight into the complexities of providing a wide range of services to a diverse population. 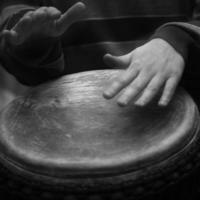 Discounted rates for future training through The One World Drum Co. If you have attended a training with One World Drum Co. in the past please call 403-217-6790 for refresher training costs. Copyright Â© 2018 The One World Drum Co., All rights reserved.